Trouble seems to be looming between Imo State Governor Rochas Okorocha and the state chapter of the Nigeria Labour Congress (NLC) over move by the state government to conduct a biometric verification of workers in the state. The state government also planned to commence electronic payment for the workers and re-implementation of staff payroll. The union also urged the state government to pay the February 2019 salary to the workers without further delay, especially for the parastatal workers in the state. In another development, the People’s Democratic Party (PDP) in the state has accused Okorocha of illegally auctioning about 71 government vehicles in the tune of N6.1 million in the past few days. Its Secretary, Ray Emeana, stated this at a press briefing in Owerri yesterday. The party alleged that the auctioning was done by one Eze M. U. Osakwe and supervised by the Commissioner for Works in the state through a letter addressed to the works commissioner authorising the auction from the office of the Secretary to the State Government of Imo State. 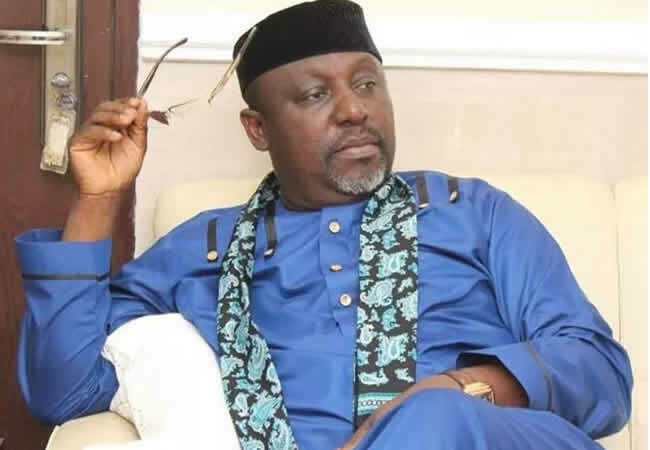 Emeana, who expressed worry as to why Okorocha should allegedly embark on the exercise shortly after a new government was elected in the state, also alleged that the auctioning was done on Tuesday, March 12, 2019 but was backdated to December 18, 2018 by the state government. He said that Okorocha’s action was a calculated attempt to make governance difficult for the incoming governor, Emeka Ihedioha. Meanwhile, when contacted, Chief Press Secretary to Okorocha, Sam Onwuemeodo, declined to comment on the allegation but however insisted that every claim by the PDP against the state government should be taken with a pinch of salt.